The transportation industry appears to be withstanding the downturn in the economy quite well. No matter the economic conditions throughout the country, there will always be a necessity for the trucking industry to deliver food and other consumer goods to stores throughout the United States. 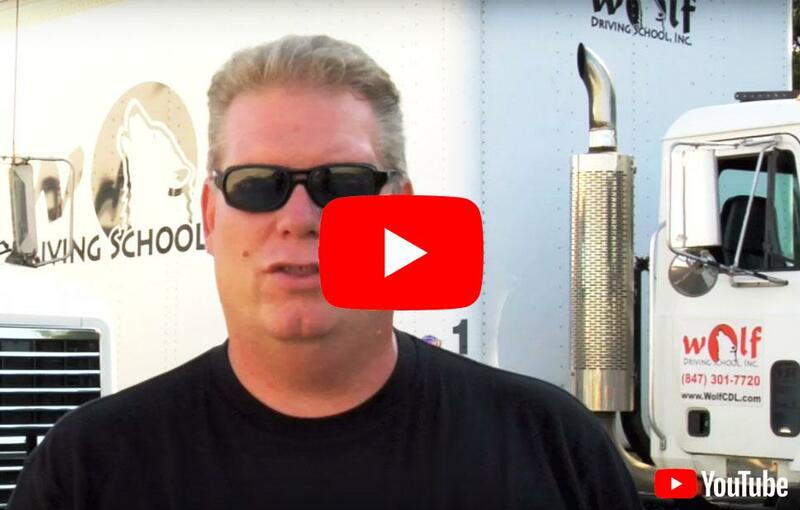 Besides that need, there are numerous other rationales for Hoffman Estates residents to enroll in Wolf Driving School to take CDL Training to become truck drivers. One obvious reason is because of the pay. Usually drivers average $35,000 their first year of driving. After several years, they average around $45,000 to $50,000 annually. Even better, experienced drivers, who have their own trucks, average over $100,000 a year. At Wolf Driving School, we have been offering training to Hoffman Estates-based students to take the necessary CDL training and truck driver training in order to pass their tests. We offer CDL Class A training (the highest possible truck licensing) for additional endorsements such as: driving tankers, triples, passengers or hazardous materials. Our business is based upon the fundamental theories of Honesty, Reliability, and Quality. Wolf Driving School instructors are only the finest, well-trained and capable individuals, and our equipment is also the best in the business. Our CDL training and truck driver training classes can accommodate the busiest of students, so that they can both work and study at the same time. We strive to help our students reach their goals and objectives, as well as train them to be successful, safe, and confident drivers. Hoffman Estates, Illinois has a diversified population of about 51,895. It is the North American headquarters to such corporate giants as Sears Holdings, AT&T, GE Capital Services, Siemens Medical Systems, Claire's Accessories, Automatic Data Processing, DMG/Morei Seiki, Big Kaiser Precision Tooling Inc. and more. Even during the recent economic downturn, Hoffman Estates has enjoyed significant office and retail growth over the past years and has continued to benefit from new restaurants, retailers, and business offices. The average household income is right around $76,831. Hoffman Estates has a greater need for CDL licensed truck drivers because of the considerable office and retail growth within the city. Not only are food and household goods transported into the city by trucks, but, the majority of retail goods made in the area are shipped throughout the state and the nation on trucks. As a direct result, there is always an increased demand for licensed truck drivers. Quite a number of Hoffman Estates’ residents have recently enrolled in the Wolf Driving School for CDL training/truck driving training classes. Having CDL training provides them with greater career and income opportunities. If you are wondering why you should enroll in CDL truck driving school, Wolf Driving School can provide you with the reasons. In addition to good pay, trucking offers a great opportunity to explore this great nation of ours. If you want to explore America, sign up for CDL Training and Truck Driving Training today! Truckers play a vital role for the country. They deliver approximately 80% of our products! Not only will Wolf Driving School help you get a CDL; they will help you find a job. Call us today to get on track of a life-changing successful career – CDL training/truck driving training classes.